This will probably amaze and startle you. Hopefully, it'll get everybody's attention. According to a recent university study, a single glass of water shuts down midnight hunger pangs for almost 100 percent of the dieters who were studied. Lack of water is the single biggest trigger of daytime fatigue. Preliminary research indicates that drinking eight to ten glasses of water a day could significantly ease back and joint pain for as many as 80 percent of sufferers. A mere two percent drop in body water can trigger fuzzy short-term memory, trouble with basic math, and difficulty focusing on the computer screen. 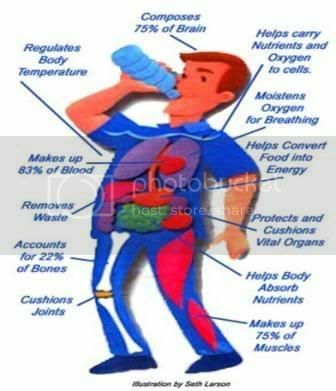 Drinking five glasses of water daily decreases the risk of colon cancer by 45 percent, can slash the risk of breast cancer by 79 percent, and can reduce by one-half the likelihood of developing bladder cancer. Do you drink all the water you should be drinking every day? Learning a language is a perfect challenge to take on after you've retired. Some people have a natural ear for language and learn quickly, but anyone who can hear and imitate sounds can learn a new language at any age. Here's the key: You don't have to master the language. Dr. Weill believes that it's the attempt to learn--the effort you've made--that provides the benefit. This type of learning draws on "fluid intelligence," the ability to stay focused and manage your attention while at the same time, you're ignoring irrelevant information. Fluid intelligence is one of the first aspects of brain function to suffer as age takes its toll on the mind. Dr. Weill also believes that learning another language should be better than any supplements or "smart drugs" that are designed to stave off cognitive decline. And he takes his own medicine: He speaks Spanish, used to speak German. He's determined to brush that up and one day learn Japanese.